This book will expand your psychic knowledge and intuitive healing abilities in ways you never imagined. Tap into your intuition, your heart, and your soul and be amazed at how your skills unfold and develop in surprising ways. 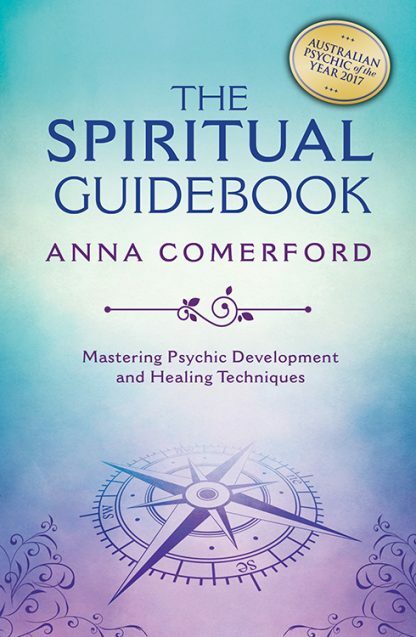 Anna Comerford is a psychic medium and spiritual teacher who is devoted to spirituality and universal wisdom and passionate about linking science and spirituality in ways that are simple and easy to comprehend. Anna has bachelor�s degrees in education and health science and works as a hypnotherapist, naturopath, Reiki master, psychic medium, crystal healer, yoga teacher, neuropsychotherapist, coach, and intuitive astrologer. She also runs the School of Higher Learning where she teaches courses on Reiki, healing, crystals, health, abundance, soul loving, palmistry, tarot, psychic development, mediumship, and channeling, many of which have been certified with International Institute for Complementary Therapies.